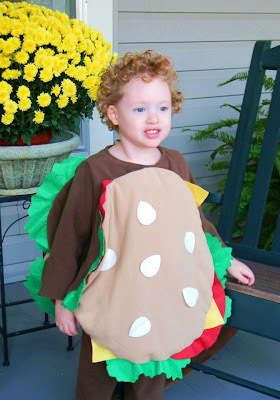 Isnt' he cute in his hamburger costume? lol! 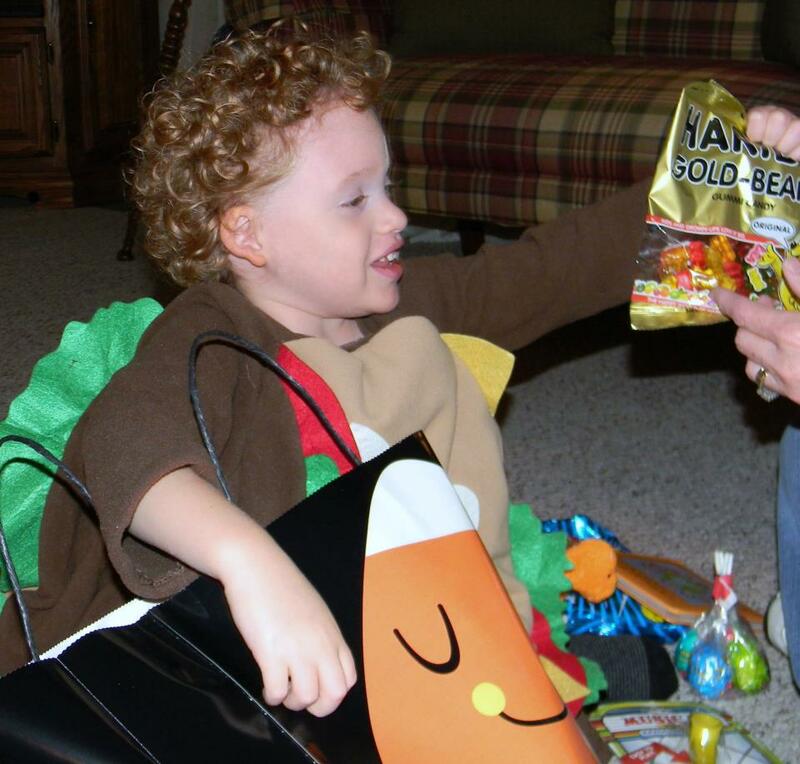 Instead of trick-or-treating this year, he stayed with his grandmother (my Aunt Leslie) to hand out candy to trick-or-treaters while his mom was at work. So I decided I'd make him his own special little treat...as if he really needed any candy! 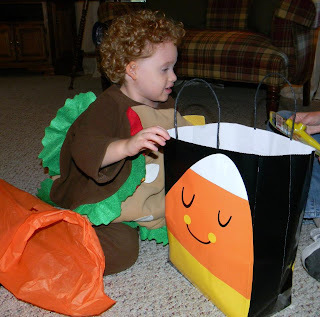 I didn't want it to be spooky like typical Halloween stuff, so I found this cute little candy corn gift bag to put everything in. I filled it with cotton candy, gummy bears, suckers, and toys (Bible story book, stuffed animal, bubbles, silly string, a puzzle, etc. After posing for pictures on the front porch, we went inside for him to open his gift. 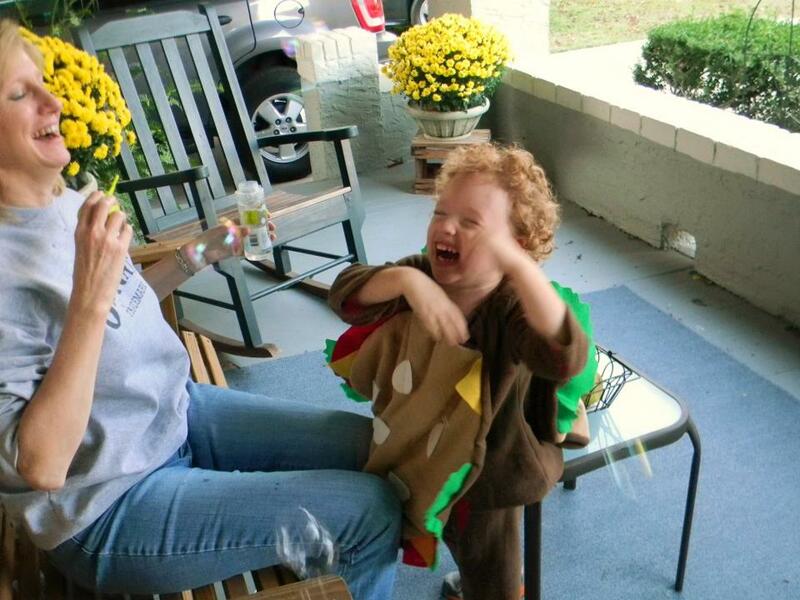 He really liked his special treats.....especially the bubbles! Since I don't have a little one and our family didn't have a group of our kids going trick-or-treating this year, going to see Logan in his costume was just what I needed to enjoy my night. Hope you all had a safe and happy night as well!